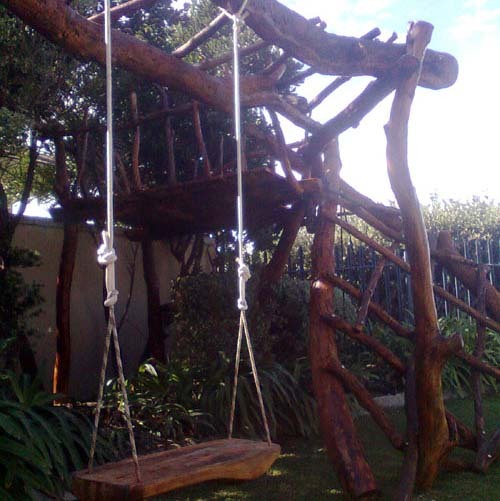 Triangle Swings: Made out of natural tree branches and woven with strong rope for children and adults. 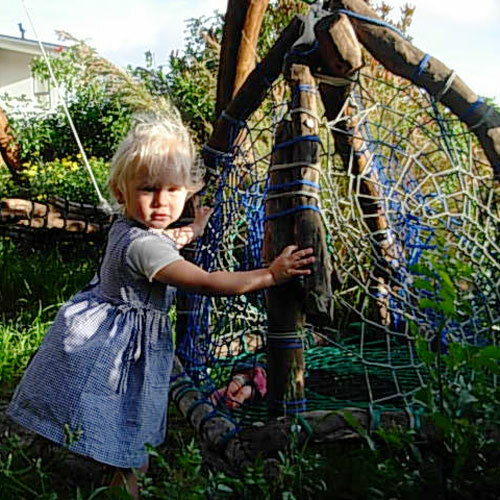 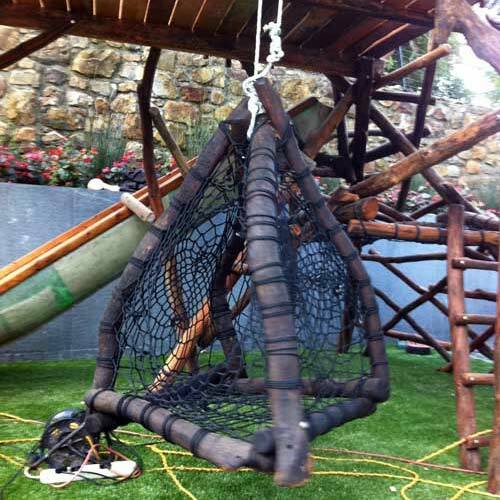 Perfect for a tree in the garden, a jungle gym or even inside your house. 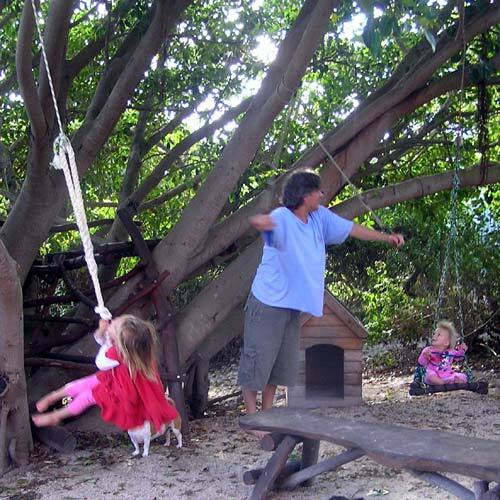 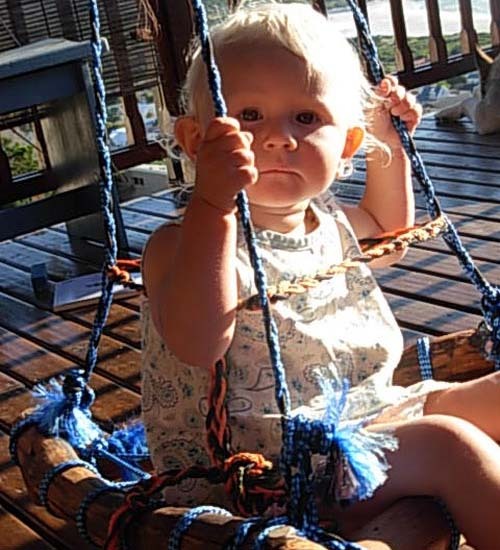 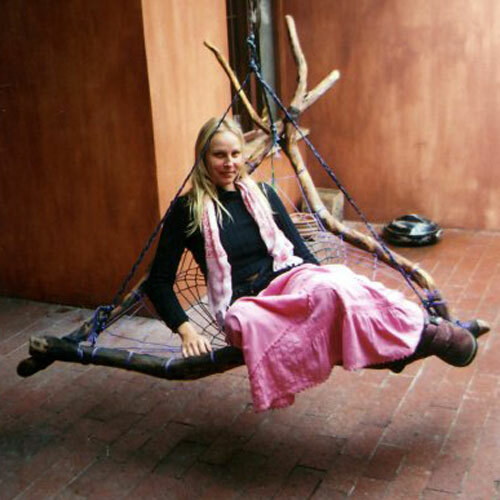 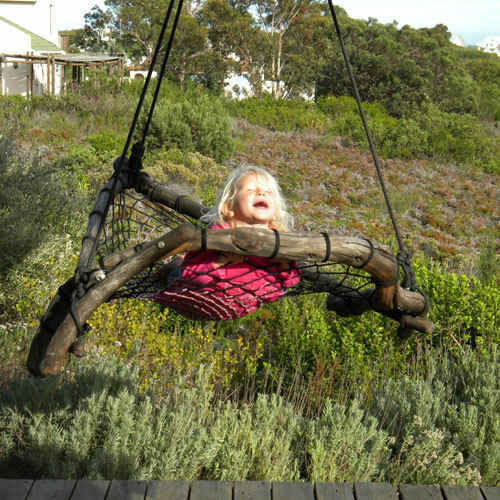 Sitting Swings: Traditional swing made from rustic pieces of wood and strong rope. 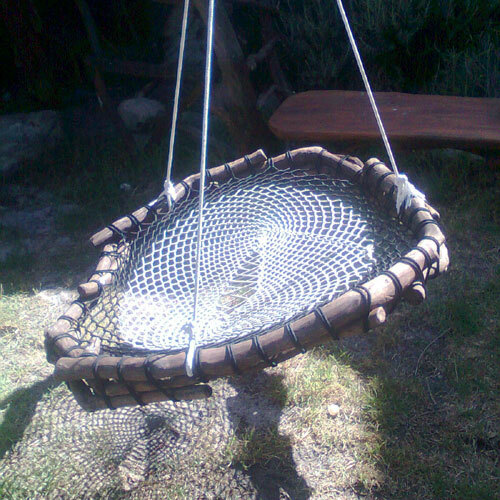 We also make a lovely round swing, large and comfortable for everyone. 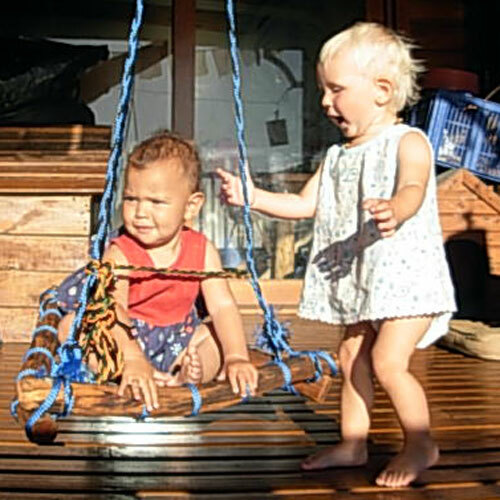 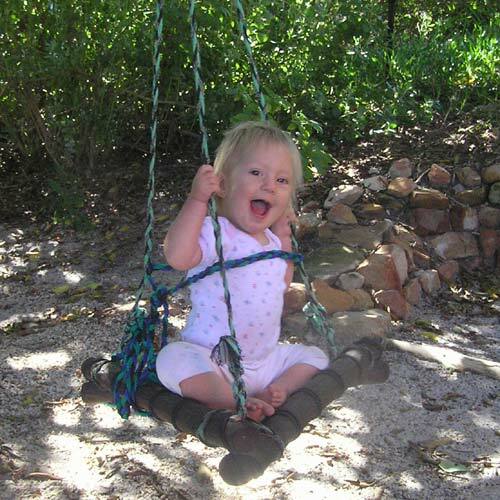 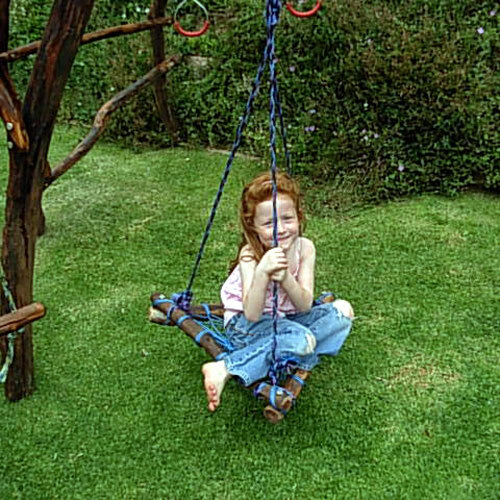 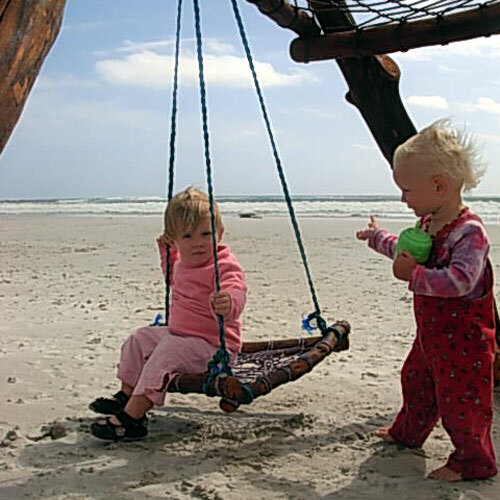 Dream Swing: Our original Dreamswing comes in all sizes. 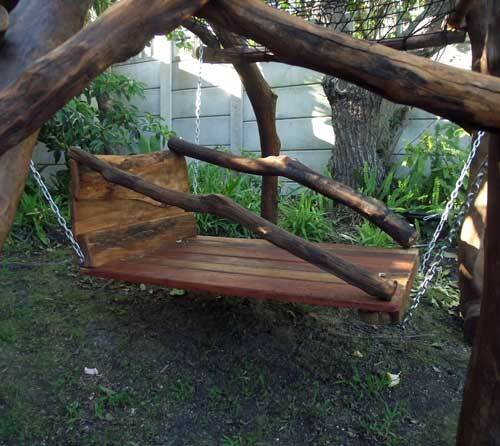 And can fit in your garden or even indoors. 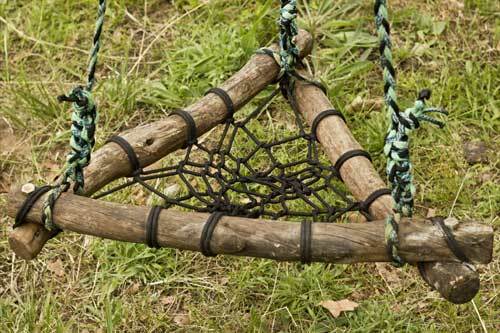 Star Swing: Five webs in the five points and one in the middle or a “Star of David” and a big web inside. 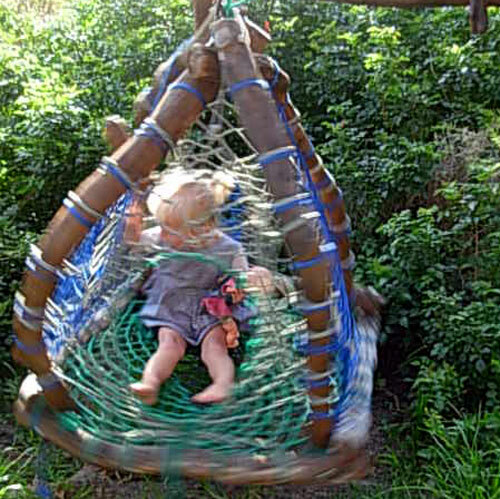 It can be hung on a swivel and act like a merry go around. 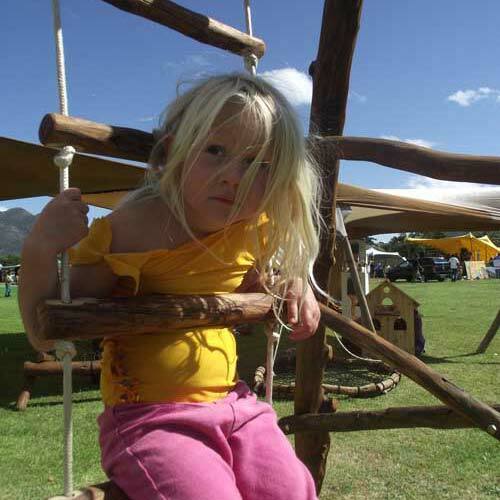 Roman Rings: Provides upper body strength and encourages gymnastics. 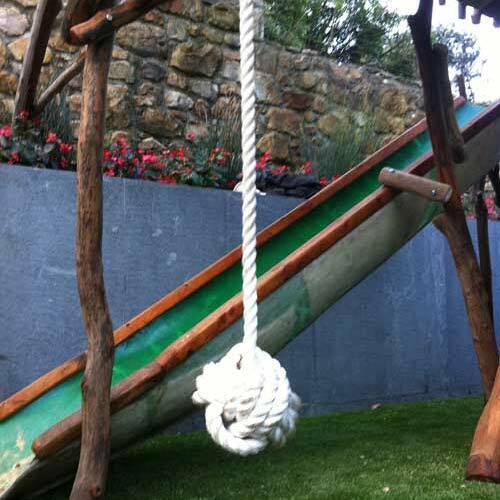 Monkey Fist: 20cm diameter rope ball used to sit on and swing. 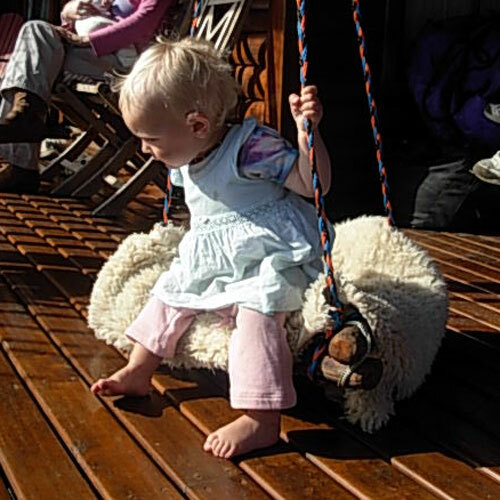 It encourages young children to hold on.